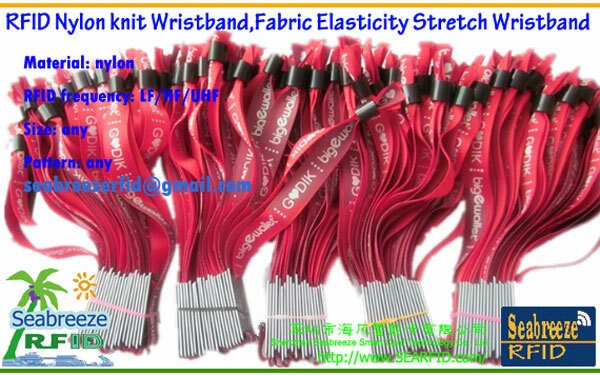 The RFID Nylon knit Wristband, Fabric Elasticity Stretch Wristband by computer equipment production, can be any size, any pattern and logo, any design. Wear comfortable, beautiful and easy. 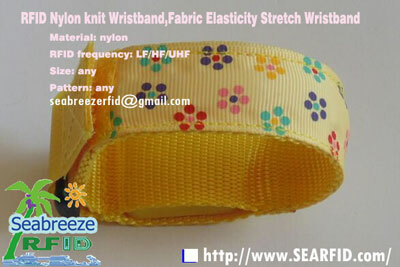 Wristbands inside encapsulation RFID chips, convenient access control, identification and NFC payment project. 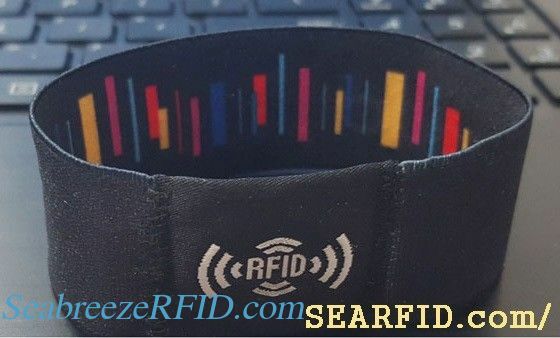 Wristband can surface print serial number. 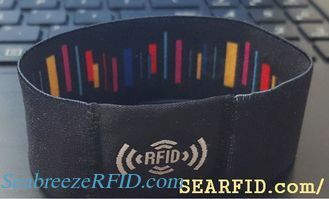 RFID chip: EM4102, TK4100, EM4200, T5577, FM11RF08, MF1 IC S50, Ultralight, NTAG213/215/216, I CODE SLIX, Alien H3, Impinj M4, etc. Suitable for: clubs, concerts, sports, game park, entertainment, etc.